Beautiful patio surfaces laid out the way you like it can do wonders for your increased curb appeal. If you are enamored with these hardscapes but have a hard time remembering which is which, here’s a handy cheat sheet for you to follow. 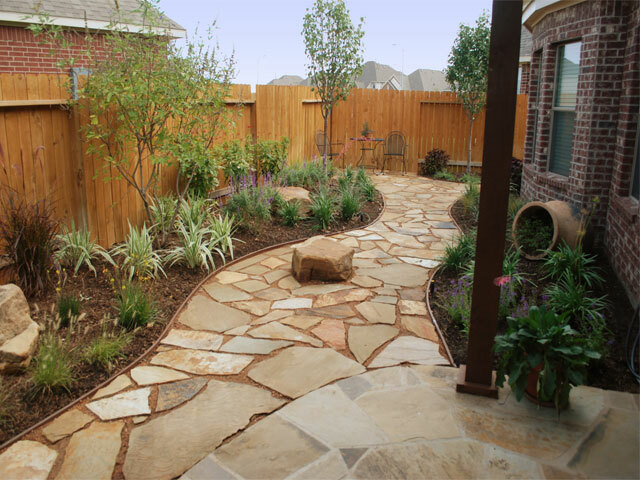 Achieve a raw and rugged natural look by installing stone hardscapes. Since it looks beautiful as it is, natural stone options are a favorite of minimalist homemakers for its subdued elegance which does not need any other ornaments You can have it installed bearing its natural shape or slightly polished to smoothen the hard edges. Slate, flagstone, limestone, granite, and travertine are just some types of natural stone you can install in your patio. Cast stone mimics the aesthetics provided by natural stone but at a lesser price. Usually done for a structure’s façade, this is a good choice to use for your patio and give a great and lasting first impression. From intricate carvings to other design particulars, cast stone allows you to carve it into something else which you’d hesitate to do with natural stone. Easy to install, durable and flexible enough for your design requirements, concrete provides you a lot of room to experiment. You can have it stamped with a certain design you want which stone and cast stone won’t easily allow you. If your house has a certain design unique to it, concrete can easily mold itself according to your specifications. Widely manufactured under a stringent quality control, pavers also give you a variety of design choices. Have a multitude of options regarding its color, texture, finish, layout pattern and shape, pavers remains one of the top choices for homeowners looking for an easy-to-install patio surface. With its availability, you’re also assured maintenance and replacement is easy enough for you.